Leave it to natural urges to force me to discover a gorgeous place on the way to my husband’s nursing home in Albany. If you’ve been reading this blog, you know I pledged to explore new places along the way. Needing a restroom bad, I pulled off Highway 99W at Hyak Park, a Benton County park about a mile south of Albany. It’s right on the Willamette River, which that day was flowing bottle green under blue skies. 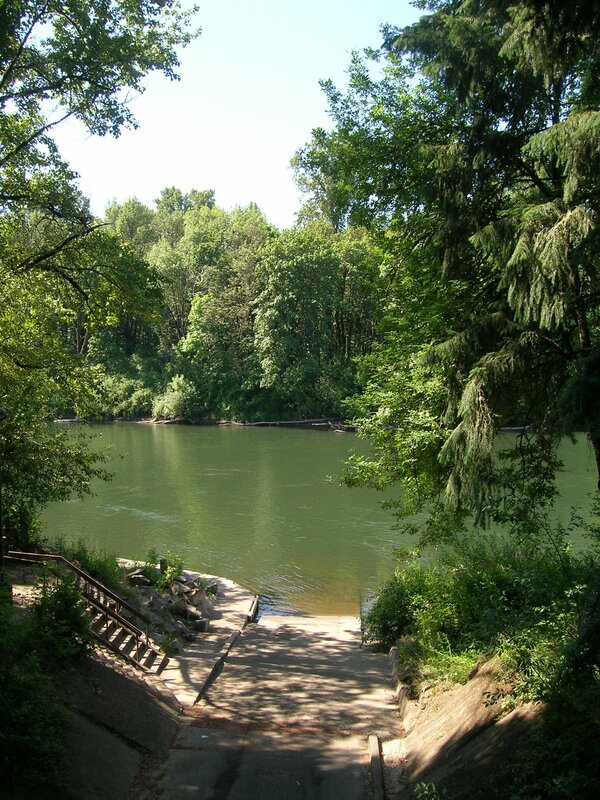 In addition to a boat launching site, it offers a wonderful picnic area, a fascinating bridge, and an old tower that must date from the years before 1971 when the park was the Adair Water Intake Park of the Adair Air Force Base. As I walked in the grass, tiny flies flew up around my feet, but they didn’t bother me. I checked out the viewing platforms and could have stared at the river all day. I have no doubt there’ll be more stops along Highway 99. Not only are there numerous parks with bathrooms, but the area is full of flower nurseries, farms, and old barns that scream “take my picture”. In a few minutes, I was in the heart of Albany, trying to remember which street requires that I suddenly merge left or wind up at the police station, and then I was at Timberwood Court, where everyone was dressed in red, white and blue for the Fourth of July party. Balloons bobbed around every table in the picnic area, and hamburgers were coming off the barbecue while staff scurried around slathering sun tan lotion on the residents. It was hot! I provided the entertainment, singing and playing guitar. I pulled out my patriotic songs, even the Star Spangled Banner, which I should have pitched a little lower. As I saw that high note coming up, I thought, uh-oh, but I took a deep breath and went for it. No big round of applause like at the football games, but nobody complained either. 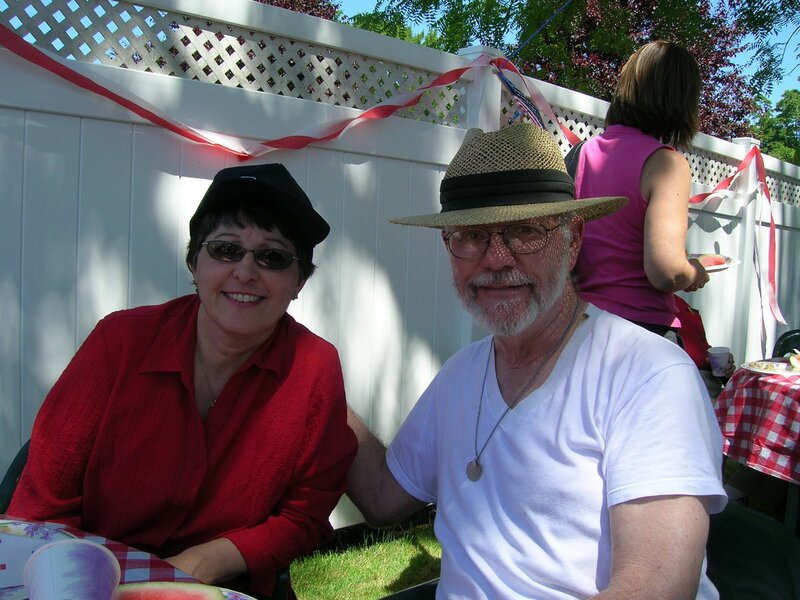 It was a nice party, which included many family members of the residents. Where will I stop this week? Wait and see.